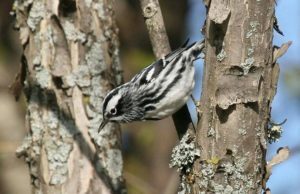 State Bird Conservation Initiatives in Wisconsin, Ohio, Missouri, and Michigan. 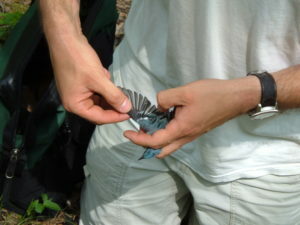 Although the MCBMP is nominally focused on monitoring, it was consciously designed to provide information and decision support for the full suite of strategic conservation activities (for all bird taxa)—biological planning, landscape design, conservation delivery, and evaluation. At a regional scale, the MCBMP hosts several very active working groups that each have strategic or work plans and which meet regularly to actualize those plans and share insights. The Midwest Avian Data Center (MWADC), a node of the Avian Knowledge Network, serves as a data hub and decision support framework for Midwest bird activities. 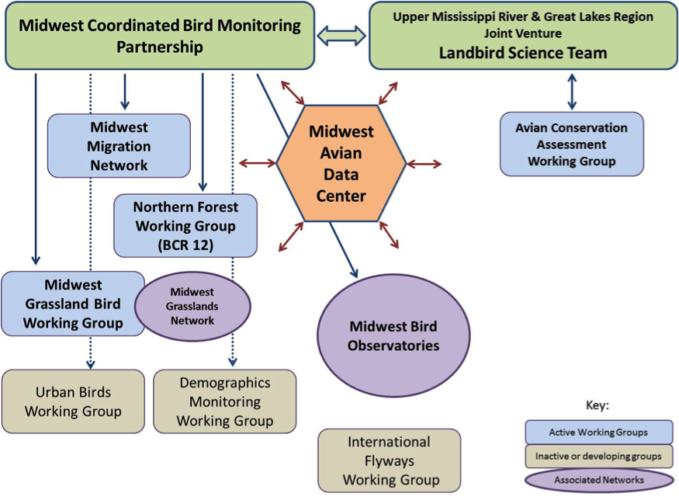 Relationships between the landbird portions of the Midwest Working Group. 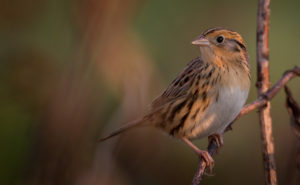 All Midwest working groups are open to participation to individuals and organizations who wish to contribute actively to Midwest bird conservation or be linked, formally or informally, with these groups. Follow the links below to learn more about each of the working groups. The various Midwest steering committees, subgroups, and working groups each meet on a periodic or intermittent basis (see the websites for each of these groups). The entire partnership convenes every two to four years. The next large meeting is anticipated in August 2018.